The largest study of its kind reveals that the number of people worldwide living with high blood pressure has nearly doubled in the last 4 decades. The huge international effort also reveals a stark contrast between rich and poor countries. The number of people living with high blood pressure, or hypertension, worldwide has grown from 594 million in 1975 to over 1.1 billion in 2015 – mainly because of population growth and aging – says the study, published in The Lancet. 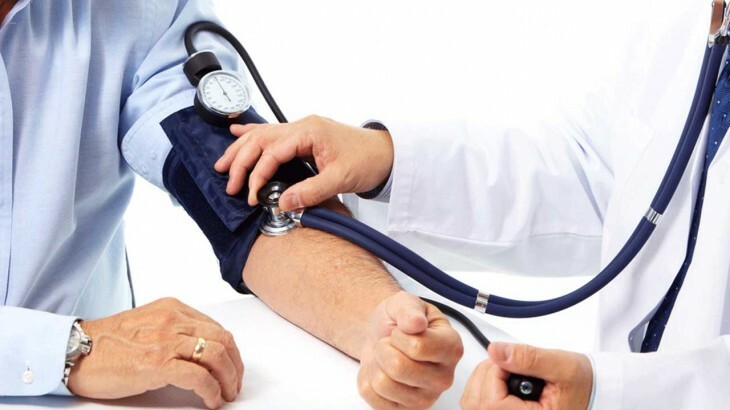 However, while average blood pressure is high and rising in less affluent countries, especially in south Asia and sub-Saharan Africa, it has dropped to an all-time low in high-income nations like Canada, the United Kingdom, and the United States. The authors say the reason for this contrast is not clear, but they suggest a major factor could be that people in wealthier nations enjoy better health overall and eat more fruits and vegetables. Earlier diagnosis and control of hypertension is also more likely to occur in wealthier countries. Taken together, these factors also help reduce obesity, another risk factor for high blood pressure. Blood pressure is the pressure of the blood in the blood vessels. It is assessed from two numbers measured in millimeters of mercury (mmHg): systolic pressure and diastolic pressure. Systolic pressure is a measure of the heart pumping blood. Diastolic pressure – taken when the heart rests between beats – measures the resistance to blood flow in blood vessels. High blood pressure is defined as 140 mmHg systolic and 90 mmHg diastolic pressure or higher. This is normally shown as 140/90 mmHg. Recent research suggests that the risk of death from cardiovascular diseases like ischemic heart disease and stroke doubles with every 20 mmHg systolic or 10 mmHg diastolic increase in people of middle age and older. “High blood pressure is the leading risk factor for stroke and heart disease, and kills around 7.5 million people worldwide every year,” says Prof. Ezzati. The condition is caused by various factors, he and his colleagues note in their paper. These include diet (for example, eating too much salt and not enough fruit and vegetables), obesity, lack of physical activity, plus environmental factors – such as air pollution and lead exposure. For the research, the World Health Organization (WHO) teamed up with hundreds of scientists from all over the globe and looked at changes in blood pressure in every country in the world from 1975-2015. They pooled and analyzed data from nearly 1,500 population-based measurement studies involving a total of 19 million participants. This showed that of the whole world, South Korea, the U.S., and Canada have the lowest proportion of people with high blood pressure. The U.K. had the lowest in Europe. The research also shows that in most countries, there are more men with high blood pressure than women. Worldwide, there are 597 million men with high blood pressure, compared with 529 million women. The figures for 2015 show that more than half of adults with high blood pressure in the world live in Asia, including 226 million in China and 200 million in India. Grocery stores are now amassed with prepackaged meals claiming to suppress appetite and keep us feeling fuller for longer. But according to new research, these meals are unlikely to affect our overall calorie intake. From a review of more than 460 studies, researchers from the University of Sheffield in the United Kingdom found little evidence of a link between how hungry we feel and the amount of calories we consume. Study leader Dr. Bernard Corfe, from the Molecular Gastroenterology Research Group at Sheffield, and team publish their results in the journal Critical Reviews in Food Science and Nutrition. In the United States, more than 2 in 3 adults and around one third of children are considered overweight or obese. The primary cause of overweight and obesity is an energy imbalance – that is, more calories are consumed than the body uses, or “burns,” which results in excess weight. As such, eating a healthy diet and sticking to the daily recommended calorie intake – around 1,600-2,400 calories for women and 2,000-3,000 calories for men, depending on physical activity – are considered key for weight loss and maintenance. Appealing to the the desire of many individuals to lose weight through dietary changes are prepackaged meals that claim to have appetite-modifying properties that keep us sated for longer, reducing the need to reach for the unhealthy snacks when hunger bites. The new study, however, indicates there is no link between appetite and calorie intake, suggesting some food manufacturers may need to rethink their claims. Dr. Corfe and colleagues came to their conclusion after conducting a review of 462 studies that assessed both appetite and calorie consumption. The researchers found that only 6 percent of the studies reviewed made a direct statistical comparison between appetite and calorie intake, and only half of these studies found that self-reported appetite correlated with calorie consumption. The team says these findings indicate that how hungry we feel has no effect on the amount of calories we consume – something that food manufacturers should take into consideration. “The food industry is littered with products which are marketed on the basis of their appetite-modifying properties. Whilst these claims may be true, they shouldn’t be extended to imply that energy intake will be reduced as a result. Dr. Corfe says further research is needed in order to pinpoint precisely what does influence calorie intake; are environmental or social factors involved? 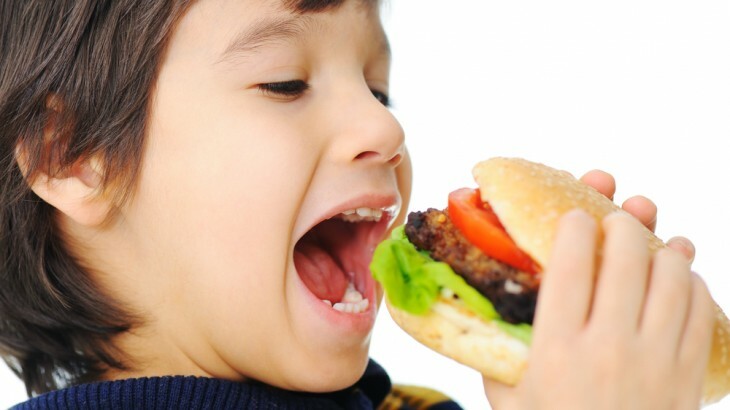 “This will be important to understand how obesity occurs, how to prevent it, and how we need to work in partnership with the food industry to develop improved tests for foods that are genuinely and effectively able to satisfy appetite,” Dr. Corfe adds. Preparing for air travel can be highly challenging for nut-allergic passengers, a Short Report published in the Medical Journal of Australia has found. Over 90 million passengers are carried on Australian flights each year, with 1-2% reporting they have documented food allergies. Dr Mark Hew and colleagues from the Alfred Hospital conducted a survey of all domestic and international airlines that fly from Tullamarine to assess their nut allergy policies. The researchers found that 61% of airlines had online or telephone hotline information about nut allergy policies. Only a minority of airlines were able to provide nut-free meals. “Nine airlines (27%) offered nut- free meals, two routinely and seven on request. For the other airlines, nut-allergic passengers would need to fast (only practical on short domestic routes) or bring their own food,” the authors wrote. A third of the airlines could restrict the distribution of packaged nuts on flights if required. Only one airline operating from Melbourne’s Tullamarine airport confirmed that emergency adrenaline was available on all flights. For nut allergic individuals, the authors recommended that they contact their airline before travelling, develop an allergy plan with their doctor, carry their own emergency adrenaline, and consider bringing their own food. 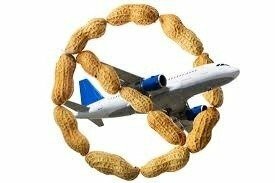 “Airlines should make their nut allergy policies more accessible and consider carrying emergency adrenaline on all flights,” the authors concluded. Bengaluru-based marketing professional Vyom Bachani, 38, gets a headache after any vigorous exercise—running, skipping or elliptical training—coupled with a surge in body heat. Sometimes a cool-down keeps it at bay, sometimes it does not. He never has headaches otherwise. Exercise headaches typically occur during or after strenuous workouts. The blood-starved muscles of the head, neck and scalp require more blood for circulation during any kind of physical exertion, including exercise. This results in the expansion of blood vessels, causing an exertional headache. Doctors categorise exercise headaches into primary and secondary. While primary headaches are usually harmless, secondary headaches can be life-threatening and needs immediate medical attention. Primary exertion headache or PEH: The majority of headaches are primary, often seen in people in the 20-40 years age group. Migraine and tension headaches are the common types. An exercise headache is a type of primary headache, usually linked to vigorous training in the heat, high altitude or humidity. “Primary exertion headache (PEH) is more common among men than women and is caused by exercises,” says Chennai-based Dr Dobson Dominic, medical director, s10 Health Sports Lounge. “The pain usually comes on suddenly, could be unilateral or bilateral and is often pulsatile and lasts from 10 minutes to 48 hours. Nausea, vomiting, phonophobia [sensitivity to sound], or photophobia [sensitivity to light] are a few symptoms that could also appear with a headache,” says Dobson, who is also sports medicine consultant, Chettinad Academy of Research and Institute and program chairman, MMSC sports and exercise medicine, Texila American University. “An exercise headache is common in people who have a history of migraine or who do strenuous workouts,” says Dr P.R. Krishnan, consultant neurologist, Fortis Hospital, Bengaluru. Secondary headache: A headache is secondary when an underlying condition causes the pain. While some secondary headaches such as cervicogenic headache are not harmful, a few are serious in nature. “There can be different types of secondary headaches depending on the cause,” says Dr G.P. Dureja, director, Delhi Pain Management Centre. “Secondary headaches are not common, but if they occur, they need urgent medical attention. When there are frequent headaches that disturb the daily routine or when it causes problems in hearing or vision, it indicates secondary headache,” says Dr G.N. Goyal, interventional spine and pain management specialist, Delhi. Various triggers are perceived to cause headaches. “Exercise could dilate the arteries or veins, which are pain sensitive. It is prevalent in people with internal jugular vein valve incompetence (IJVVI). IJVVI results in backward venous [blood] flow, which leads to brain congestion and increases pressure within the skull leading to a headache,” says Krishnan. “PEH occurs due to muscle constriction because of increased blood supply to the affected muscles. This causes muscle spasm resulting in headaches,” says Dureja. Several factors could trigger a primary headache. “PEH is more likely to occur due to high altitude, change in weather, or if there is an intake of alcohol or caffeine before exercise. Dehydration, increased blood pressure, holding of breath while lifting heavy weight or incorrect neck position may cause an exertional headache,” says Dobson. Goyal says unhealthy diet, stress, and lifestyle that does not balance work and rest are some of the triggers. Secondary headaches are serious. The underlying cause could be medical problems such as infections, blockages, bleeding and abnormalities. “Secondary headaches can occur due to intracranial bleeding, rupture of blood vessels in the brain. Here, the headache is accompanied by nausea and vomiting. Secondary headaches do not respond to conventional medicines,” says Dureja. “Bleeding because of trauma or a medical condition like hypertension, or structural changes in the brain that are prone to rupture of the blood vessels can lead to secondary headache,” says Goyal. A cervicogenic headache is a common and under-diagnosed problem, he says, where the pain could start from the neck and involves back of the head or vice versa. “When there is a severe headache, which peaks suddenly, known as a thunderclap headache, it is because of blood leakage in the brain. A headache which progressively increases and continues for more than 48 hours or severe one-sided headache indicates structural issues. Evidence of fever, weakness of limbs, trouble with speech or balance, loss of consciousness, seizure, or a headache that wakes a person from sleep, weight loss that occurs along with a headache are a few signs that indicate the need for urgent medical attention,” says Krishnan. Goyal explains that nausea and vomiting are common in primary and secondary headaches. It is a red flag for a secondary headache if there is persistent vomiting. Seizures, changes in vision, hearing or speech are also a few warning signs of a secondary headache. “Seek medical attention if the frequent headaches are not responding to painkillers and rest,” says Dureja. Benign exertional headaches are manageable with lifestyle modifications and change in exercise routine. “You can reduce the occurrence of exertion headaches with good warm-up exercises, cooling and ventilation in training settings, adequate sleep, nutrition and hydration,” says Dobson. Krishnan mentions that lowering the intensity of the workout and being well hydrated are useful in the prevention of exertional headaches. “Finding the headache trigger is very critical to managing a primary headache. A person can maintain a pain diary where he can log the severity, period, food taken, any other condition that he experiences during a headache. Such a journal is useful in narrowing down the cause and preventing primary headaches,” says Goyal. Relaxation techniques such as deep breathing, meditation and yoga help prevent primary headaches. Breathe well: Avoid Valsalva maneuver (forceful exhalation with mouth and nose firmly closed) during multiple repetitions of weight lifting. Exhale during the positive phase (when you raise the weight) and inhale during the negative phase (when you lower the weight). Neutral spine: Maintain a neutral spinal alignment to allow proper circulation through the arteries and veins. It is not essential to keep the back straight when you look up during a squat or a deadlift. Keep the neck and head in a neutral position. Safety: Larger compound leg movements at the beginning of the workout are safer because exhaustion, exercise induced dehydration and peaking heart rate won’t trigger at the start of the training. Fitness: Develop cardio respiratory fitness with regular cardiovascular training. General conditioning along with interval training reduces the risk of exertion headaches by developing a healthy cardiovascular system to handle stress. It is necessary to build proper cardiovascular health, stay hydrated and maintain a neutral spine. What are the symptoms of Zika virus? Fifteen cases of locally transmitted Zika have now been confirmed in South Florida, prompting the CDC to issue an advisory warning pregnant women to avoid travel to the one-square mile area of Miami where most of the infections occurred. 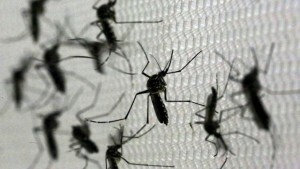 The virus, which is primarily spread through mosquito bites, has been spreading at epidemic levels in Latin America and the Caribbean throughout the last year. Though Zika virus produces only mild symptoms — or none at all — in most people who are infected, it is particularly worrisome for pregnant women, because it has been found to cause a severe birth defect called microcephaly in babies. There is no vaccine or cure for the virus. With news of Zika’s arrival in the mainland U.S., many people have questions about who’s at risk, how Zika spreads, and the warning signs to look out for. Zika is primarily transmitted through the bites of Aedus Agypti mosquitoes. When one of these mosquitoes bites an infected person, it can pick up the virus and then spread it others when it bites them. The species can bite four or five people in one blood meal, meaning it has the potential to spread the virus rapidly, CDC director Dr. Tom Frieden has said. Symptoms appear within 14 days of the initial infection. However, about four out of five people who are infected with Zika do not experience any symptoms at all and probably don’t know they have it. “It’s very important to understand that those who are experiencing symptoms aren’t necessarily a good estimate of how many people have been infected,” Dr. Ricardo Lopez, an OBGYN with Orlando Health, told CBS News. In a small number of patients, the virus can cause more serious neurological problems including temporary paralysis — a condition called Guillain-Barre syndrome. Is it safe to reuse a water glass before washing it? The situation: You’ve got a water glass in the bathroom, at your desk, and on your nightstand, which means you’re chugging plenty of H2O (high-five for hydration and props for passing on plastic!). But with all the focus on getting the recommended 8 cups a day, some of those glasses have gone unwashed for days—you just keep dumping them out and filling them up. The very worst that could happen: It’s true that bacteria and other potentially dangerous microorganisms (think viruses and intestinal parasites) grow really well in moist environments. So yes, that unwashed glass is a petri dish of possibility. Every time you take a sip, you’re transferring the microbes in your mouth to the glass. 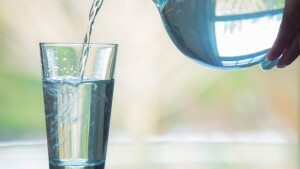 The source of the water you’re sipping can also make a difference: Unlike tap water, bottled and well water don’t automatically come with added chlorine to help halt the growth of bacteria. And if it’s a shared cup, look out! All those bacteria, viruses, and intestinal parasites passing back and forth could mean stomach ulcers (courtesy of Helicobacter pylori bacteria) or projectile vomiting and explosive diarrhea (courtesy of norovirus). “The more people who use that same cup, the greater the probability that one of those people carry bacteria that might make you sick,” Margolin warned. What will probably happen: A whole lotta nothing, especially if you’re the only one using the glass. “It’s important to mention that pathogens—those organisms that make you sick—don’t just appear out of nowhere; they have to be introduced by someone or something,” Margolin said. The fact that it’s a glass, not a plastic cup, means it won’t degrade over time, creating nooks and crannies where bacteria can build up. Plus, glass is more likely to completely dry, and drying, also known as desiccation, is an excellent way to halt the growth of bacteria, Margolin added. What’s more, if you’re filling up with tap water, most treatment plants use chlorine to zap dangerous contaminants that work both on the water and your saliva. Bottom line: “If you restrict the usage of the cup to a single individual and you make sure that the water is clean, then you are not going to get sick if you use the same cup over and over,” Margolin said. Mental illness: Could brain size be a risk factor? A study published in the journal PLOS Biology could explain why large brains are more vulnerable to brain disorders such as schizophrenia and Alzheimer’s disease. Mammals exhibit an extensive range of brain sizes, reflecting their adaptation to the varied environments in which they live. The cerebral cortex in all mammals is the thin layer of gray matter – neural tissue of the brain that is composed of nerve cell bodies and nerve fibers – that covers the brain. Gray matter is responsible for processing information in the brain, including thoughts, high-level brain functions, such as storing and retrieving memories, calculating, language, and consciousness. Comparing the cortical networks in the brains of mammals of differing sizes provides data on what features of the brain are preserved through evolution and what processing structures are unique to a particular species. Zoltán Toroczkai, from the University of Notre-Dame, IN, Mária Ercsey-Ravasz, from Babes-Bolyai University, Romania, and Henry Kennedy, from the University Lyon, France, and colleagues previously combined tracing studies in macaques (which visualize connections in the brain) with network theory. The results showed that macaques’ cortical network is regulated by the exponential distance rule (EDR). EDR describes a consistent relationship between distances and connection strength. EDR predicts that there are fewer long-range axons than short axons. Although comparing cortical networks across species can be problematic, the researchers found that by using area tracing data from a macaque, a mammal with a large cortex, and a mouse, which has a significantly smaller cortex, they could introduce a standard model framework that enabled them to make comparisons. 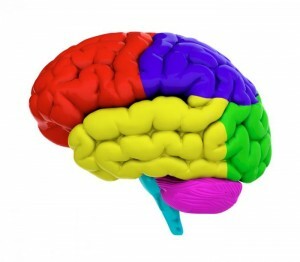 The team used a general organization principle – based on an EDR and cortical geometry – to carry out comparisons within the same model framework. Regardless of the differing cortex size between species and cortex organization, the researchers noted that all the statistical features of all cortical networks followed EDR. In terms of the cortical areas examined by the tracing studies – such as visual cortex or auditory cortex – the closer the two areas were together, the more connections there were between them. Although the cortical networks in primates and rodents are similar, the long-distance connections in the primates’ brains were considerably weaker. The bolus-basal insulin injection regime for those living with diabetes works like your body should, but may not be a suitable fit for everyone. If you have insulin dependent diabetes, you’re very familiar with bolus insulin, the type of insulin that is short-acting, typically taken with meals. However, not as many people with diabetes are as familiar with the other kind, basal insulin or, for that matter, the bolus-basal insulin regime. Read on to learn the difference between bolus and basal injections and why a bolus-basal routine might be right for you. The bolus-basal routine involves taking multiple insulin injections throughout the day. It requires the use of a longer acting form of insulin, basal insulin, to keep blood glucose levels stable through periods of not eating, where cells convert glucose into energy. Basal literally means “background” so this is the type of insulin that remains in the background of the bloodstream and is taken once or twice a day. Bolus insulin is the shorter acting insulin taken at mealtime to prevent rises in blood glucose levels as a result of eating. 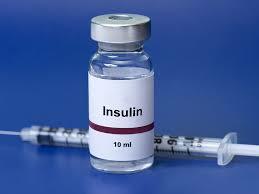 The bolus-basal regime is an attempt to emulate how a completely healthy body would deliver insulin. The routine is applicable to people with both Type I and Type II diabetes. The main advantage of a bolus-basal regimen is that it allows you to fairly closely match how your own body would release insulin if it was able. Another big advantage is that it allows for greater flexibility when scheduling meals and for how many carbohydrates you can consume per meal since insulin is adjusted and injected throughout the day. This can be a large perk for adults with busy schedules and less control over meal times and type of food available. If there are advantages, there must also be disadvantages. One downside to the regime is that it requires more frequent insulin injections every day. This may be a bigger issue for some more than others, like children who must grow accustomed to the habit. Of course, not every type of routine is right for everyone. Consult your doctor if you think the bolus-basal injection regime might work for you. Diabetic patients who undergo heart bypass surgery are living longer and have much better long-term outcomes when cardiothoracic surgeons use arteries rather than veins for the bypasses, according to a new study published online by The Annals of Thoracic Surgery. Key findings in this study show more diabetic patients survive when only arteries are used for bypasses during coronary artery bypass grafting (CABG) surgery. Diabetic patients experience fewer long-term complications from total arterial revascularization (TAR)/CABG than from conventional CABG. TAR/CABG can be performed successfully by any well-trained cardiothoracic surgeon. Dr. Tatoulis and colleagues in Melbourne examined more than 63,000 cardiac surgical cases from the Australian and New Zealand Society of Cardiothoracic Surgeons (ANZSCTS) Database. In their review, they identified 34,181 patients who underwent CABG surgery for the first time from 2001 to 2012. Of those, 2,017 were diabetic patients who had CABG using only arteries (TAR) and 1,967 diabetic patients who had conventional CABG, predominantly using veins. This study showed that when TAR/CABG is used for diabetic patients, long-term survival improves significantly. For every 100 diabetic patients undergoing CABG surgery, four more will be alive at 10 years when arteries are used for the bypasses rather than just one arterial graft together with veins (82 vs. 78, respectively), explained Dr. Tatoulis. A strong correlation exists between coronary artery disease (CAD) and diabetes. According to the American Heart Association, adults with diabetes are two to four times more likely to have heart disease than adults without diabetes. In addition, the American Diabetes Association estimates that 29.1 million Americans have diabetes, with 1.4 million more being diagnosed each year. Another important finding from the study was that TAR/CABG can be performed on diabetic patients without increasing the rate of complications, such as angina (chest pain), heart attacks, heart failure, and hospital readmissions. 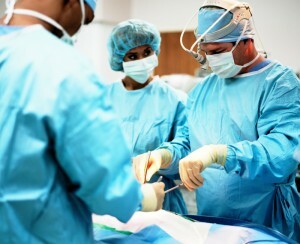 CABG surgery has been performed for more than 50 years. In the US, it is one of the most common major surgeries, with almost 400,000 CABG surgeries performed each year, according to the US Centers for Disease Control and Prevention. CABG surgery is designed to help restore blood flow to the hearts of patients with CAD. CAD is caused by a buildup of plaque (calcium, fat, cholesterol, etc.) in the walls of the arteries that supply blood to the heart and other parts of the body. During CABG surgery, a blood vessel is removed or redirected from one area of the body and placed around the narrowed area to “bypass” the blockages and restore blood flow to the heart muscle. This vessel is called a graft. Dr. Tatoulis said the average conventional CABG surgery involves three to four grafts: one artery is usually used, along with vein grafts from the leg or thigh for the remaining new bypasses. In TAR/CABG surgery, only arteries are used. Currently, only 5% of all patients in the US who undergo CABG surgery receive multiple arterial grafts, stated Dr. Tatoulis. “As a result, there is room for a much larger proportion of patients to have this type of coronary surgery and receive the benefits of a longer life, better quality of life, and reduced medical costs,” he said. You may be surprised to learn that many common foods offer some protection to your skin from the potentially damaging rays of the sun, from the inside out. This SPF or sun protective factor aspect of foods has to do with the presence of certain antioxidant compounds. Plants produce antioxidants within their own tissues to protect their own cells from premature destruction, due to exposure to heat, light, air, moisture and time. When we consume many of these plant-derived antioxidants, these natural agents provide protection to the cells of our bodies, including skin cells. By eating certain foods, especially those that are brightly colored, you can actually help to reduce damage to your skin caused by exposure to UVA and UVB rays from sunlight. 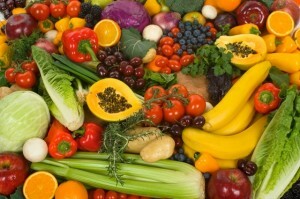 Let’s consider some of the better sun protective foods. The red, yellow and orange peppers that look so beautiful and taste so sweet are colored by natural pigments called carotenoids. These antioxidants convert to vitamin A in the body, and help to protect skin cells by inhibiting the destruction of the thin lipid (fat) layer that surrounds skin cells. Cube it and put it on kebabs or brochettes, or just eat it in salads. Yellow summer squash derives its bright color from the protective carotenoids. Eat it because it tastes good- and provides solar defense. The natural antioxidant pigment lycopene gives the characteristic red color to ripe red tomatoes. This antioxidant is well known for providing protection to the prostate gland, helping to mitigate cases of BPH, benign prostatic hyperplasia, also known as enlargement of the prostate. But like other antioxidant compounds in foods, lycopene also protects skin cells from exposure to the sun. Say ditto for watermelon, regarding lycopene. Watermelons get their red color from this pigment as well. When summer rolls around and the sun gets hotter and brighter, eat your share of watermelon to cool your skin cells. What doesn’t green tea do for health? It enhances cardiovascular function, demonstrates anti-cancer activity, supports the immune system, detoxifies the body, aids weight control, and also protects skin cells from exposure to UVA and UVB rays. The secret ingredients? Antioxidant compounds called polyphenol catechins provide super-powerful defense. You can’t go wrong drinking green tea every day. Perhaps the healthiest substance you can put in your mouth after water, cocoa is the ultimate super-food, containing 712 compounds, many of which are potently antioxidant and skin-protective. The flavanols in cocoa provide profound protection for the heart, helping to greatly lower the risk of heart attack, stroke and high blood pressure. But the same compounds help to armor your skin cells. The news about cocoa seems to get better every day. Eat the real dark chocolate, consume whole, organic cocoa, and enjoy. What do blueberries, black currants, acai, cranberries, blackberries and elderberries all have in common? They are all rich in the potent purple pigments known as anthocyanins. These may be nature’s mightiest of all protective compounds, helping to reduce the risk of many chronic and degenerative diseases, and providing excellent SPF protection. Eat your berries because they are delicious, and enjoy the protection as part of the overall experience. This yellow root contains a profoundly beneficial compound called curcumin that possesses superior anti-inflammatory activity, aids the immune system, enhances the brain, and protects your skin. Curcumin from turmeric is a very popular anti-inflammatory remedy. You can sprinkle turmeric on food, cook with it, or use curcumin supplements. The omega 3 fatty acids that have been proven to provide excellent protection for the heart also provide protection to skin. These agents are essential to overall health and well being, and also help skin cells to stay healthy. You can also take omega 3 fatty acid supplements derived from fish oil. Just because certain foods provide protection from the harmful rays of the sun does not mean that you can eat some veggies and then go lie out in the sun all day. But it does mean that if you are exposed to the sun, you will have the protective activity of nature’s antioxidants working in your body to protect your skin from the inside out. Tan responsibly. Use sunscreen before going out in the sun, and enjoy a safe and happy summer season. Chris Kilham is a medicine hunter who researches natural remedies all over the world, from the Amazon to Siberia. He teaches ethnobotany at the University of Massachusetts Amherst, where he is Explorer In Residence. Chris advises herbal, cosmetic and pharmaceutical companies and is a regular guest on radio and TV programs worldwide. His field research is largely sponsored by Naturex of Avignon, France.